Network TV upfronts are taking place this week, and Fox has released a slew of trailers for its upcoming fall lineup, including the return of Last Man Standing. The network, which made headlines for canceling fan favorites like Brooklyn Nine-Nine, The Last Man on Earth, and The Mick, revealed its new schedule, which accommodates the network's recent acquisition of the NFL's Thursday Night Football. Below find the shows slated to air this fall and get a look at what to expect with some exciting new trailers. The Baxters are returning after being canceled by ABC over a year ago. Fox has revived the family comedy about a man and his life with three daughters as he struggles to maintain his masculinity while surrounded by women. Tim Allen returns as Mike Baxter alongside fellow costars Nancy Travis, Jonathan Adams, Amanda Fuller, Christoph Sanders and Jordan Masterson. From executive producer, Charlie Day, this comedy about a group of friends living in a retirement community will have you in stitches. The show stars plenty of accomplished stars including David Alan Grier (In Living Color), Martin Mull (Veep, Roseanne), Leslie Jordan (Will & Grace), and Vicki Lawrence (The Carol Burnett Show). But fans of Fox's recently canceled 'Brooklyn Nine-Nine' aren't too happy with the network. Inspired by his his real life, Lil Rel Howery (The Carmichael Show, Get Out, Insecure), is the star of this self-titled comedy about a husband and father who has his life flipped upside-down when he learns his wife is having an affair. On his journey to becoming a single father post-divorce, viewers are guaranteed some laughter. Alongside Howery are stars Sinbad (The Sinbad Show, A Different World), Jess "Hilarious" Moore (Wild 'N Out), and Jordan L. Jones (NCIS: Los Angeles). Based on a trilogy of novels by the same name, this series is written and produced by Friday Night Lights' Liz Heldens, produced by Ridley Scott (The Martian), and Matt Reeves (Dawn of the Planet of the Apes, Cloverfield). Justin Cronin's sprawling novels just took a bite out of the network's fall schedule. The story follows Project Noah, which is a secret medical facility dedicated to performing tests and experiments in an effort to erradicate all disease, but the work could have serious consequences. When facility recruits a young girl for experiments, one federal agent will become her protector. 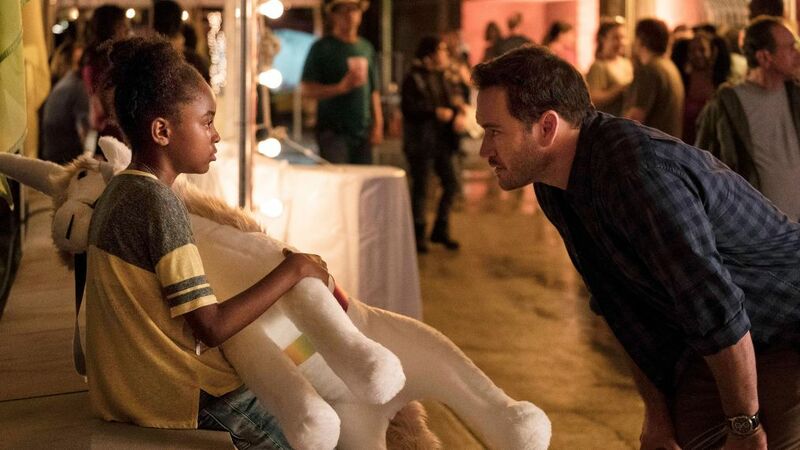 The Passage stars Mark-Paul Gosselaar (Saved by the Bell, Pitch) and Saniyya Sidney (Fences, Hidden Figures). The network revived the ABC show but canceled many fan favorites in the process. In this drama a woman who was wrongly convicted of murder becomes an unsung hero for those in similar circumstances when she becomes a criminal defense lawyer. As someone who experienced what its like to receive judgement by the public for something she didn't do, this underdog lawyer goes head to head with the one responsible for sending her to prison in the first place. Danny Strong (Empire co-creator) and David Elliot (Four Brothers) team up for this series starring Rachelle Lafevre (Under the Dome, A Gifted Man), Vincent Kartheiser (Mad Men), Russell Hornsby (Seven Seconds, Grimm), Brian d'Arcy James (13 Reasons Why, Spotlight), and Nikki M. James (The Good Wife). The award winning series is set to return for a third season featuring voyages to realms and worlds that have been uncharted until now. Astrophysicist Neil deGrasse Tyson returns to host the show produced by Seth MacFarlane (Family Guy), Brannon Braga, and Jason Clark, as well as executive produced, written and directed by Ann Druyan (NASA's Voyager Record, Cosmos: A Personal Voyage, Contact).